The other night I was watching a movie with my husband and my mother-in-law. I think it was My Secret Valentine or it could have been Very, Very, Valentine. Either way, it was a Hallmark movie. If you haven’t figured out… Hallmark movies are my absolute favorite. Christmas and non-Christmas alike. There’s always a plot twist right before they have a happy ending and they are always so predictable. Either way though, I like them. They give me that warm tingly feeling. But while I was sitting there watching the movie, my phone rang. I answered the phone and it was my friend Camille. In college, I always teased and called her Camel Jockey. Sometimes to her face, sometimes not. I was caught off guard a little bit because I haven’t spoken on the phone with her for about 10 years. The last time we spoke on the phone, she had just gotten engaged. I found out via Facebook and was giving her crap to the point she called me. We chatted for a good almost half hour. We reminisced about good times and bad. A few years ago I was sitting in my Midevil British Literature class when we went to break. During the break, I jumped on Facebook for a minute and saw a very scary message. She said something to the effect of don’t wait until the last minute to tell your best friend how you feel or something like that. I can’t remember the exact words because it’s been almost 3 years now if I remember right. I quickly sent another friend from college, Becky, a text telling her something was up and then class resumed. On my drive home that night Becky told me that Camille’s husband had passed away. We didn’t really know what had happened, we just knew it happened. Later that week or the next we found out more details. We were going to go to the funeral but I was unable to make it because I came down sick. Becky made the funeral. This is the time of year it happened. I really want to say March 6th but I don’t remember the exact day. I just know, this time of year. So when Camille called I immediately answered the phone. She lives south of here closer to my aunt and uncles in Southern Oklahoma. I drive through her town every time I go to and from their house. And every time I go through, I send her a picture of the water tower. Just last week I was on my way there and almost thought about it, but I was driving. Same way with coming home over the weekend. I mentioned to her I was going to send her a picture and she was like, “Why do you always send me a picture of the damn water tower?” I just laughed. When you go to college, you meet people from here, there, and everywhere. I swear, most of the people I met were from the Kansas City and St. Louis areas. They always teased me that I was from the south because of my accent. I don’t hear it but apparently, they did. I was asked if I was from Oklahoma, Texas, Arkansas, Louisiana, and Mississippi. What can you do but laugh because I was closer to home than those from KC and St.L? 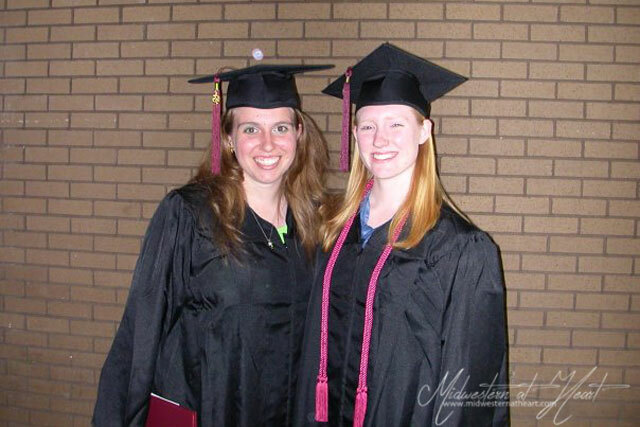 Once people graduate from college, they go their separate ways. How on earth can you make friends that are your forever friends when you go your separate ways? That’s a good question. But I have to tell you, you do. I think this day in age it is even easier with the help of cell phones (yes, we had those back then… but now people get a number and tend to keep it. I’ve had mine now for 15+ years probably), social media (ie Facebook), etc. I actually met Becky and Camille the same night. It was about October. I had no friends. In fact, I lost the Freshman 15 instead of gaining it. I finally met up with a guy I went to high school with who was a couple years older than me. I would go eat dinner with him and his friends so I wouldn’t sit in my room and eat popcorn. Truth be told, I didn’t like eating alone, I still don’t. But one night the dorm was having a scavenger hunt. I really wasn’t planning on being involved. Becky, on the other hand, decided to participate. She was running down our hall (we both lived on 2nd floor) and stuck her head into most rooms trying to get people to participate. I was sitting on my bed, probably watching tv and attempting to do homework when she poked her head in. She saw our rug (my roommate and me, but I brought it) and mentioned she liked it. So she stopped and chatted for a few minutes. Somehow she convinced me to participate in the scavenger hunt. We went down to the first floor and grabbed the paper. Camille was down there (she lived on the 6th floor). Eventually, we got paired up together, the three of us. It seemed like from there on we were inseparable. Now, I won’t lie… it wasn’t always butterflies and rainbows. We were always around each other so we fought like cats and dogs. Think of any true friendship! We even had our parting of ways. A time I truly don’t want to remember. It changed and shaped our relationship. But here’s the thing… we’re all still friends. We still text, we still call, we still send pictures of damn water towers. So I guess what they say is true… you meet your forever friends when you go to college. 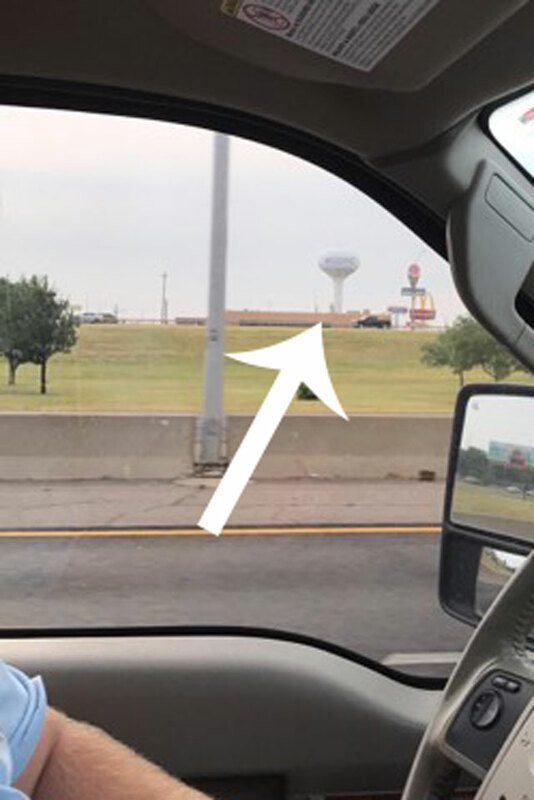 Just think of it this way… if you get the picture of the “damn water tower” just know that someone is thinking of you!